Forget everything you know about boating. 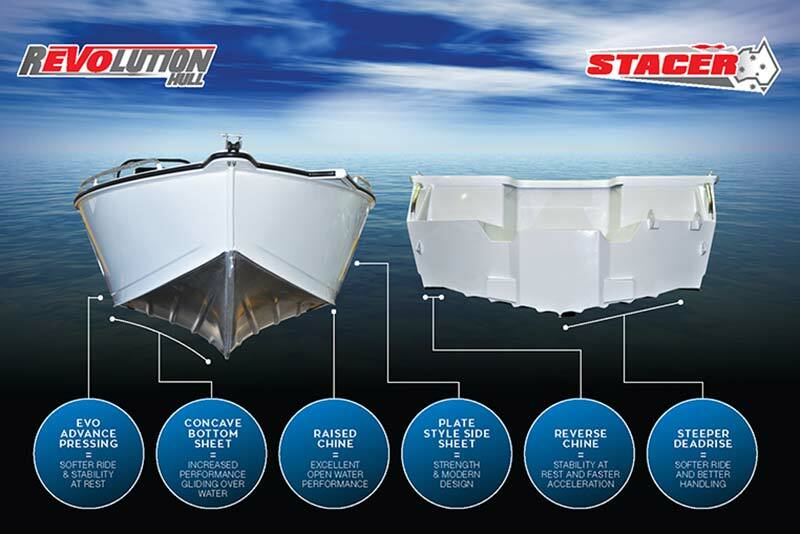 Stacer's new Revolution Hull is set to send shock waves through the industry with their most superior hull deign to date. The release of the Revolution Hull coincides with Stacer's new model release for 2018 and features across their new range of runabouts- the Seamaster, the revamped Crossfire range, the new bowrider range - the Wildrider and of course the Stacer favourite the Assault Pro. The Revolution Hull has been developed through the natural evolution of the Stacer's famous and renowned Barra and Assault Pro Hulls. Stacer's in-house Research and Development team have spent extensive time not only designing and creating the perfect formula for a softer, stable and superior riding hull but testing and trialling performance in a multitude of conditions. The final product, the Revolution Hull, combines a concave bottom sheet design with Stacer's EVO advance pressing and a raised chine creating a high performing hull that glides over the water. "STACER, Vic/Tas Dealer Of The Year, 2018-19". It's been a team effort from all our staff at BL Marine, and we would also like to thank our loyal Stacer/BL Marine customers who helped us achieve this award. 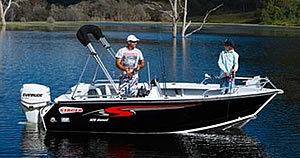 If you are considering a new boat package, call in to BL Marine and have a look at the new REVOLUTION models, which we can rig with either Yamaha or Mercury. 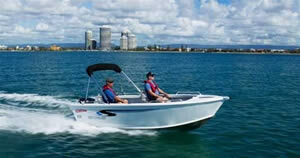 Stacer began in Melbourne in 1971 when two mates combined their engineering experience to produce the first Stacer Aluminium boat. 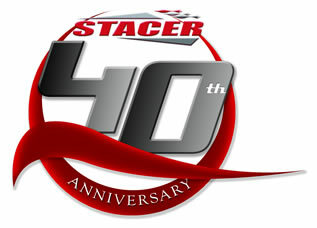 Forty years on, Stacer celebrates its 40th birthday with over 60 models in the range. When you decide to invest in a Stacer from BL Marine, you can be certain that you have made the right choice. 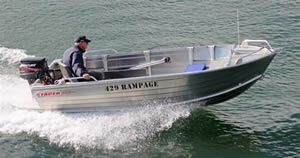 After all we are boating people ourselves and go all-out to make your boating experience the best possible. 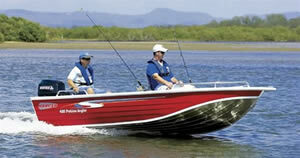 We package fishing and family friendly boats with practical features that are easily affordable and safe to operate, easy to handle and trailer, economical, require minimal maintenance and are long lasting. That's why today we enjoy the respect of many satisfied customers and take pleasure in the considerable amount of repeat business from our current owners wishing to upgrade to newer models. 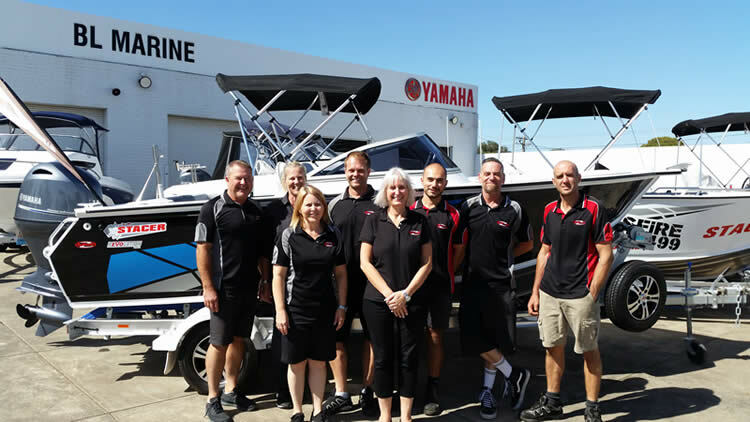 BL Marine pride themselves on matching your boat of choice with a suitable Yamaha or Mercury outboard motor, specifically designed Stacer trailer and popular package inclusions giving you a better value boating package. 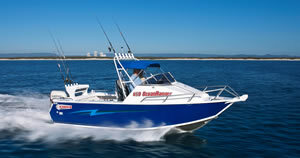 At BL Marine we've made it easy and more affordable for you to enjoy all the fun of the boating lifestyle. 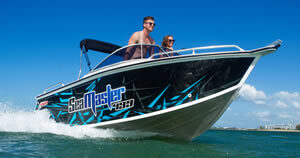 We've taken the mystery out of buying a boat, especially if it's your first, by introducing Stacer Ready 2 Go boating packages. Using the latest technology and innovative design, Stacer produces a hull that delivers an outstanding performance on the water. Stacer's EVO Advance Hull brings a new height to boating adventure by having plenty of storage space, handling chop with ease and being solidly built with the performance of a champion. 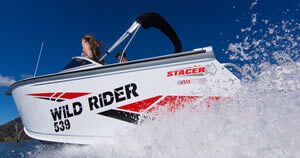 Stacer's EVO Advance Hull takes Stacer's design principles to a whole new level. Utilising alloy press forming technology, we have created a hull that offers a sensational ride, plenty of internal space and impressive performance and handling. 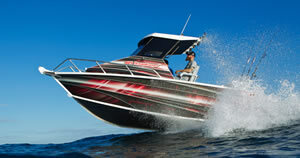 The EVO Advance Hull takes Stacer's design principles to a whole new level. Featuring the combination of a sharper bow design and deeper V, the EVO Advance Hull delivers a smoother ride and overall impressive performance. 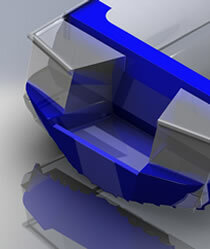 The new transom of the EVO Advance Hull was designed to improve cockpit and internal space. 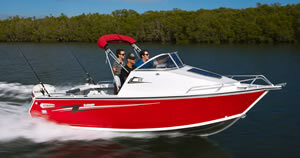 Whatever your boating adventure, the EVO Advance Hull delivers maximum storage possibilities. 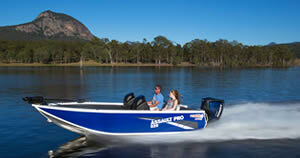 The whole family can enjoy a stable, dry ride with the new EVO Advance Hull. 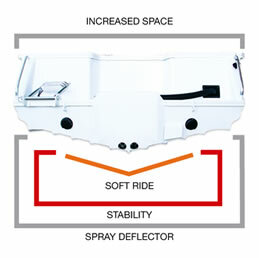 A rolled side pressing extends forward from the transom to deflect spray away from the boat, while a wide beam and downturned chines deliver the first-class stability Stacer is renowned for. View the Stacer range by selecting a category below: (NB: you will be redirected to the Stacer website).